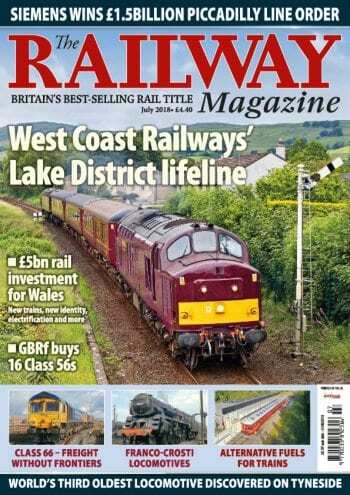 Siemens wins £1.5bn Piccadilly Line deal, West Coast Railways steps in to provide Windermere train service, CAF, Stadler and Vivarail share Transport for Wales train orders as part of £5bn new franchise plan, Two inquiries begin as Northern and GTR timetable chaos continues, Virgin Trains East Coast gives way to LNER, £100m rail test centre for South Wales? Industrial archaeologists uncover startling new evidence about the true age of ‘Killingworth Billy’, Gloucs-Warks feels the ‘Broadway effect’, Severn Valley’s end of steam commemoration, ‘Patriot’ boiler by end of year. First TPE Class 802 lands at Southampton, Class 153s for ScotRail luggage/bike vans, GBRf buys 16 Class 56s, West Midlands new DMUs to be Class 196, TPE scraps Class 68/Mk3 plan. 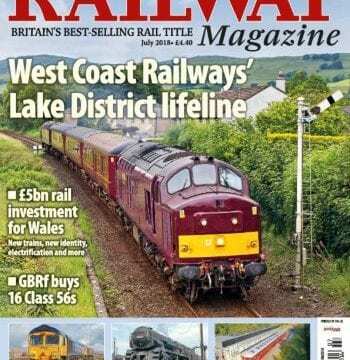 The Railway Magazine from only £20. Our regular gallery of the best railway photography from around the world. Find out what The RM was reporting 20, 50 and 100 years ago. Details of when Britain’s unique collection of heritage railways and railway museums are open. 122 Crossword & Where Is It? Keith Farr concludes his assessment of the pre-Grouping 4-4-0s performance with a look back at classic Midland, GCR, Scottish and Irish classes. Twenty years on from the introduction of the Class 66s, Ben Jones considers the impact of these EMD-built diesels on the railfreight industry in both the UK and Europe. Former BR manager and TRM columnist John Heaton opens the pages of his diary, in which he kept a detailed record of events, good and bad. Robert Humm charts the story of a brave experiment to increase the efficiency of Stephensonian steam locomotives and its development in Italy, Great Britain and elsewhere. With emissions from diesel engines becoming increasingly unpopular, Keith Fender looks at the various alternatives being developed and proposed for rail traction. Cliff Thomas takes the controls of a preserved narrow gauge steam locomotive at Bressingham Steam Museum and finds it far from easy! INSET 2: The story of Franco-Crosti steam locomotives. INSET 3: Australian solar-powered train – one of several alternatives to diesel.